Maria Andrade Troya is a studio potter in Curve Studios. 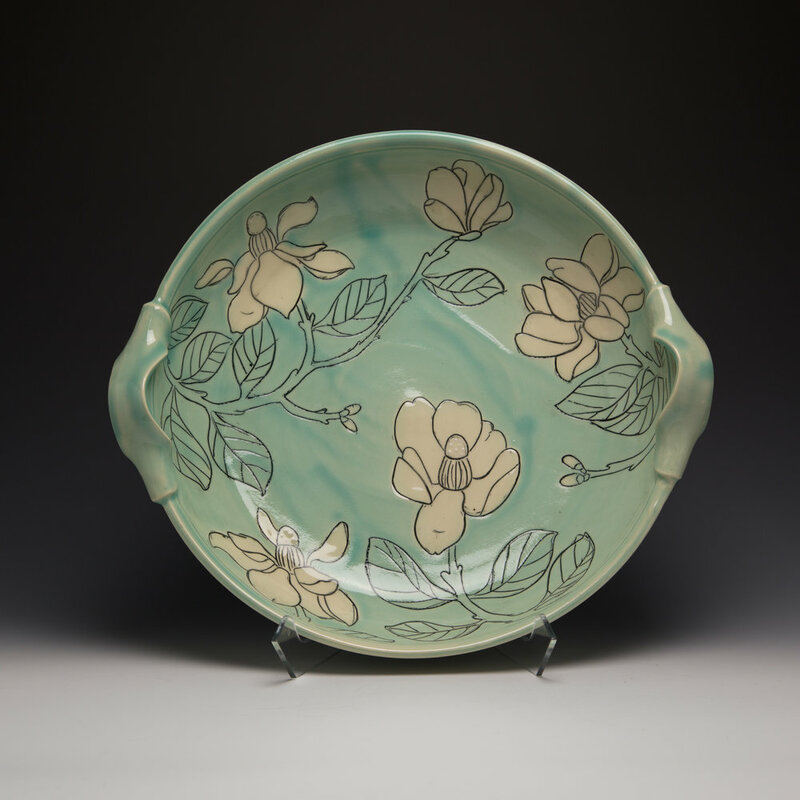 Maria received her BFA in Printmaking from UNC-Asheville and immediately began work as a Studio Assistant at Odyssey Center for Ceramic Arts in 2001. Through this opportunity, Maria became involved with the ever evolving community in the River Arts District. Maria works mostly on the wheel with white stoneware clay and fires to Cone 6. Her pieces are functional and decorated thorough the application of slips and stamps. Using her printmaking background, Maria incorporates linocut techniques into the surface treatment of her pottery.